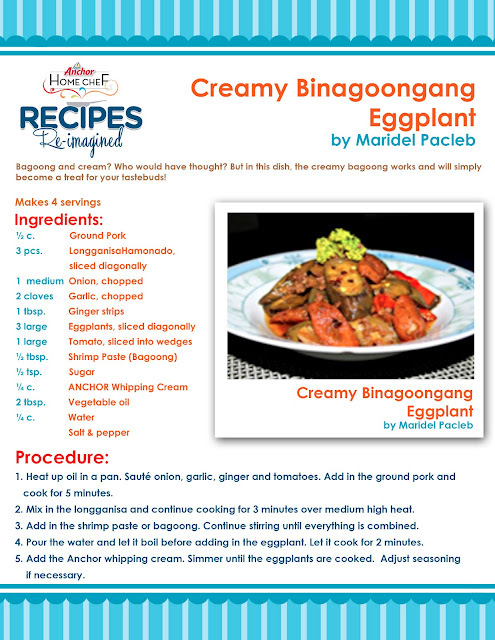 When Dada & I were newly married and living abroad, I was constantly searching for new recipes. Most of the time, I would make things from scratch, tweaking the recipe here and there to our liking. 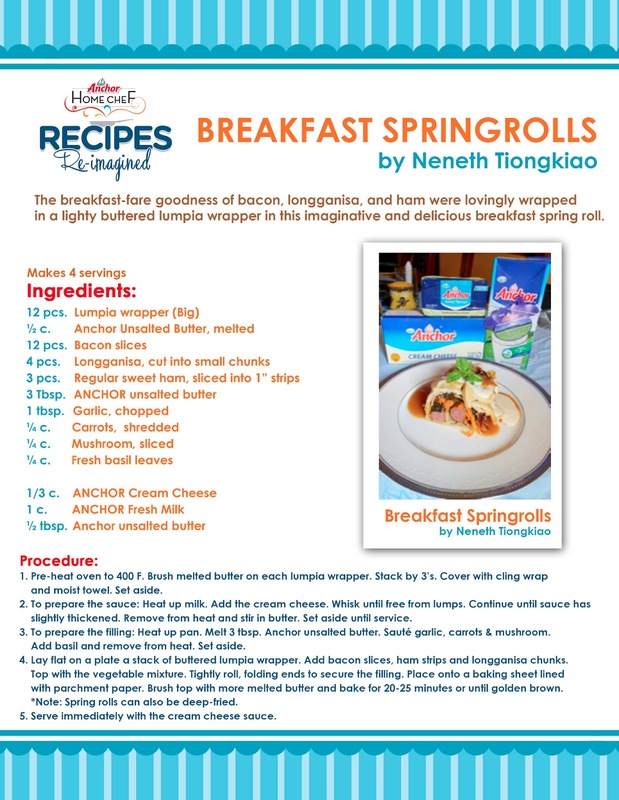 Admittedly, there were times I was forced to be creative, trying to make do with whatever ingredients I had on hand. 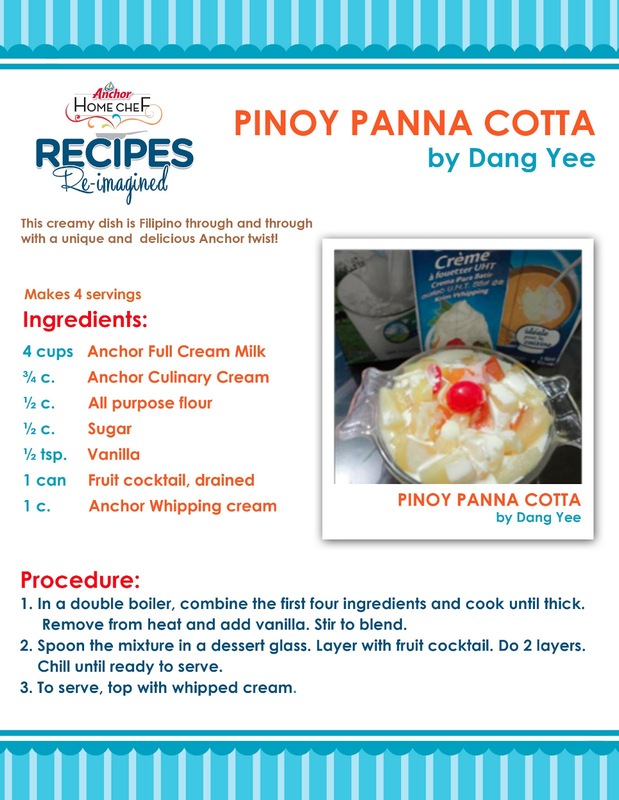 Whether I had to go out of my way to look for a crucial ingredient, or I had to make use of something before its “best by” date, the goal was to come up with a great dish that Dada would savor with each bite. The thing is though, it is not that easy to come up with dishes that the whole family will love day in and day out. 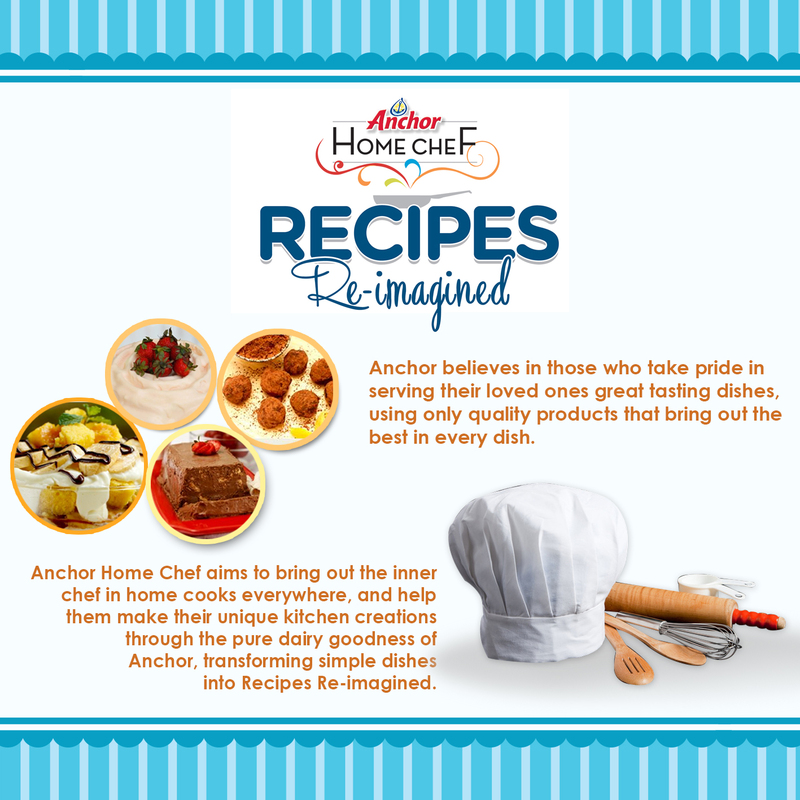 From March 15 to April 15, Anchor invited home chefs from all over Facebook to submit recipes of their re-imagined dishes using any one or all of Anchor’s butter, cream and cheese products. Six of the best and most unique recipes were chosen as winners, and Chef Jonas Ng of Mango Tree personally visited each of the six winners’ homes to see for himself how those winning dishes were brought to life. 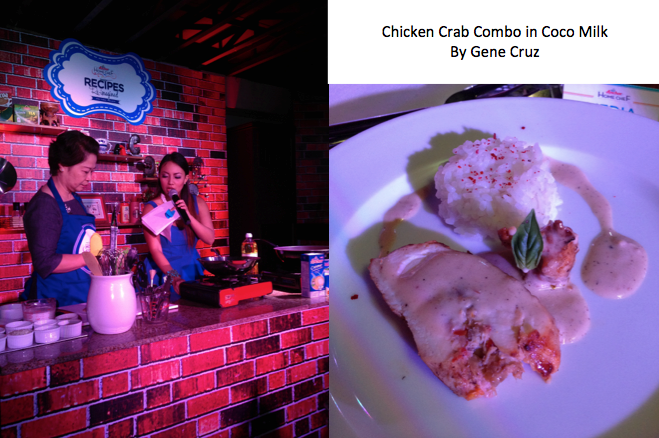 The culminating activity aka The Final Course happened last Friday, May 31 at Café Ysabel. 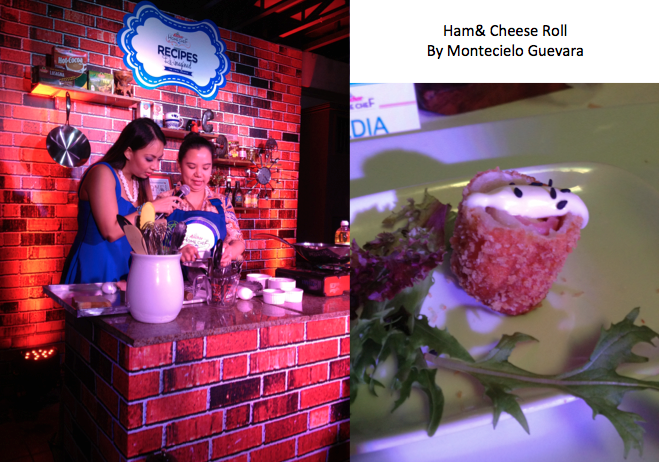 I was lucky enough to be invited to watch the winning home chefs in action. Apart from learning new recipes, watching cooking demos and getting a taste of the top 6 home chefs prize winning concoctions, I along with the other guests also got to witness the awarding of the grand prize winner of the first circle of Anchor Home Chef winners. Of these six, my personal faves were the Creamy Binagoongang Eggplant and the Caramel Macchiato Ice Cream. 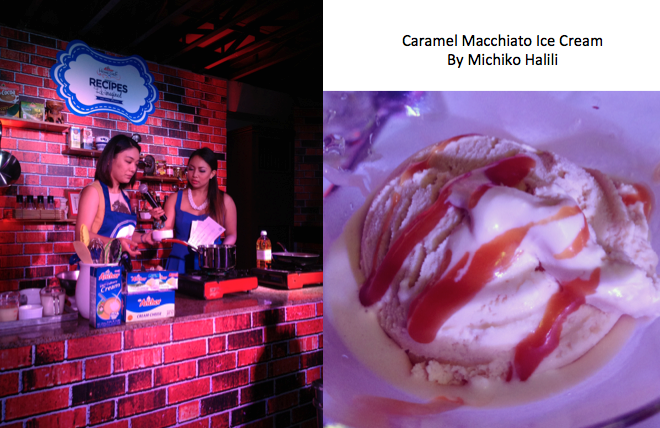 The judges seemed to have agreed with me on Michiko Halili’s genius Caramel Macchiato Ice Cream creation. 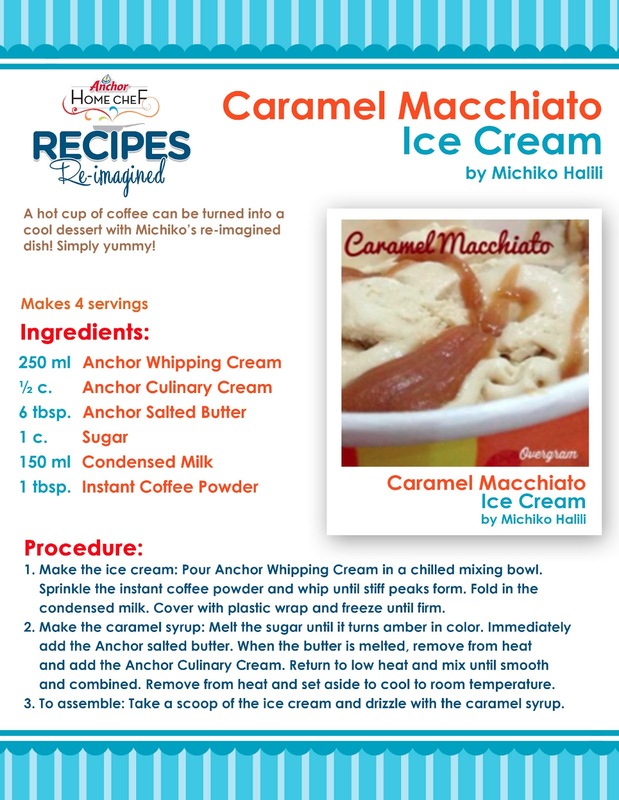 Made with three Anchor ingredients, and with no eggs, or use of an ice cream maker whatsoever, it seemed as if Michiko was able to pull out the richest, creamiest, best tasting coffee ice cream I have ever had in my entire life. 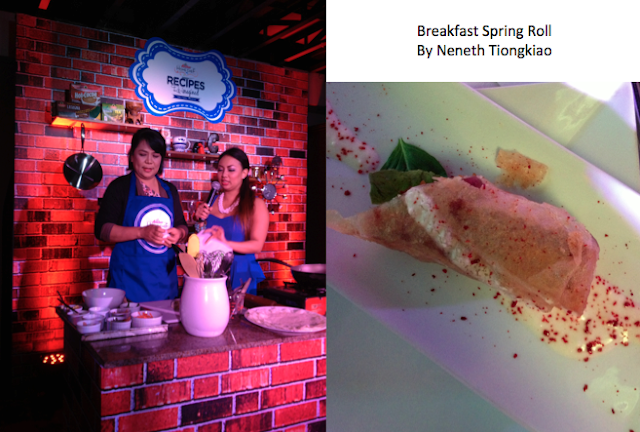 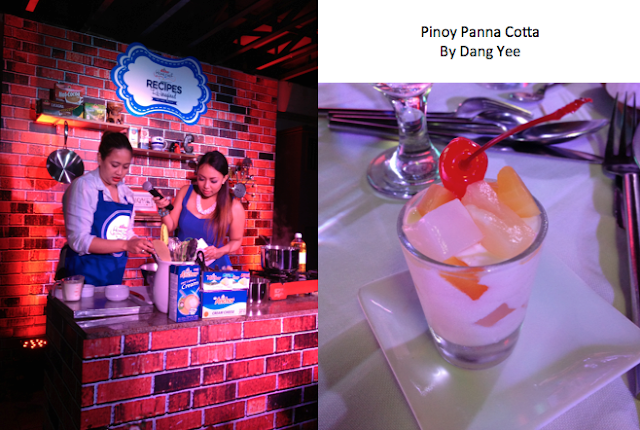 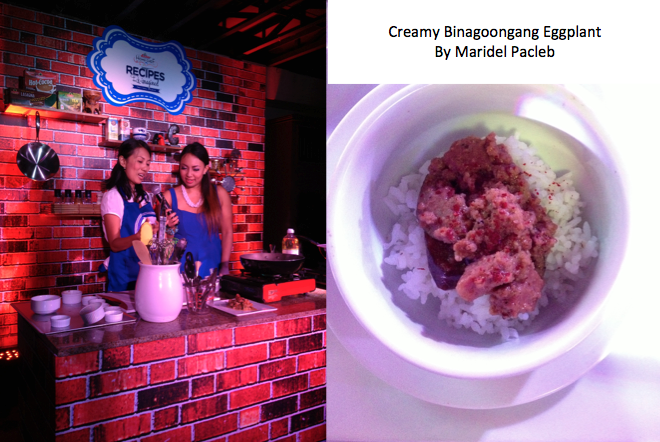 Even the judges were amazed with what she was able to do with 6 simple, readily available ingredients. 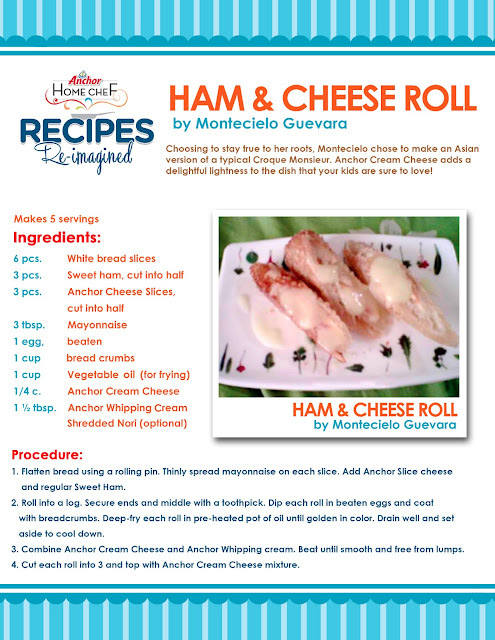 I for one cannot wait to replicate Michiko’s recipe at home. And judging by this first circle of Anchor Home Chef winners and their recipes, I am already looking forward to the recipes that Anchor Home Chef Circle 2 will bring to the table! The Anchor brand stands for pure and natural dairy goodnes. Over the years, it has provided homemakers consistent premium quality products that enables them to create their best dishes. 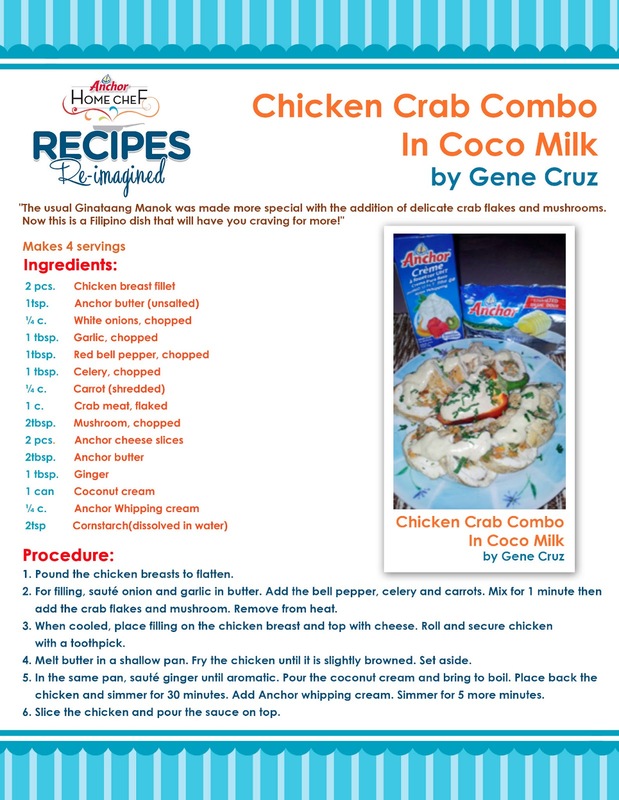 For more re-imagined recipes and helpful tips and trivia, visit Anchor Home Chef on Facebook.